Every night before bed, I wash my face, pat it dry, use my favorite toner, dab on some eye cream, and then lather on my favorite hyaluronic-acid-based serum for dewy, hydrated skin. Does anything feel missing to you? It only recently occurred to me that I tend to leave my lips out of my daily skin care routine, which is ironic since I probably complain about the condition of my lips more than any other part of my face. As anyone who's ever been through a New York City winter can attest, it would take a miracle to prevent them from becoming dry and cracked and peeling at least once from November through May. What I've found through my winters in the Northeast is that lip balm alone just isn't enough, so I tracked down some skin health experts to see what we can do about it—and whether putting on my lips some of that fancy serum I use on the rest of my face might just do the trick. Why our lips need just as much attention as the rest of our face. According to Keira Barr, M.D., an integrative dermatologist and author of The Skin Whisperer, I'm not just imagining the idea that my lips take a beating during the winter. "Compared to the rest of our skin, the epidermis of our lips is much thinner, contains less of the protective pigment melanin, and has poor barrier function, making them more highly susceptible to environmental factors like sun, wind, smoking, and temperature extremes." So what about dehydration? As Barr explained, "The lips appear to lose water three times as fast as surrounding skin, making them more vulnerable to dehydration and dryness. 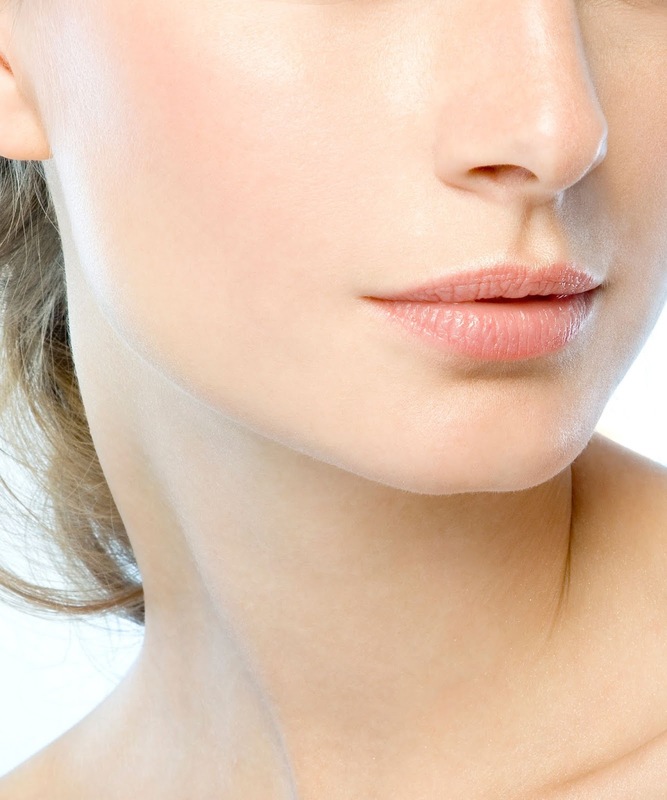 When the lips become dry, skin cell turnover slows down and the lips become flaky." No one likes a flaky lip, so it's important to take steps to both prevent and treat this environmental damage and dehydration as often as you can. "Lips get a lot of exposure and should be treated with as much care as the rest of your face," says Danuta Mieloch, esthetician and owner of Rescue Spa in New York City. And the good news is that the same products that you use on the rest of your face can be used to treat your lips. "Hyaluronic serums are amazing not only for your face but your lips as well, as they are super-hydrating and plumping! They are always a great step before applying something heavier like a balm," she explained. So where do we start? She will even put eye balm—or even the cult favorite Swiss cream Valmont Prime Regenera II—on her clients' lips if they are dehydrated or cracking. Mieloch often recommends Barbara Sturm Super Anti-Aging Serum and some other great but more cost-effective options include Now Foods Hyaluronic Acid Firming Serum and Peter Thomas Roth Water Drench Hyaluronic Cloud Serum. If this isn't as effective as you wanted it to be, it might be worth taking a look at your diet since according to Barr, "Environmental factors as well as certain medications and nutritional deficiencies like zinc and B vitamins can cause lips to become dry, chapped, and dull in color." Why serum alone might not do the trick for healthier lips. Think you're done showing your lips a little extra love and attention? Think again! According to Barr, just using a serum might not be enough. "To help maintain and/or restore lip moisture, first start using products containing humectants like hyaluronic acid, glycerin, and lanolin followed by occlusive or "protectant" ingredients to help seal in moisture like shea butter, petrolatum, squalene, and coconut or jojoba oils. To speed up skin cell turnover to deal with flakiness, a gentle exfoliation using a sugar- or honey-based lip scrub can be helpful," she explained. Mieloch would agree with her, explaining that, "All of the above are amazing tricks for hydrating lips, but it is also super important to wear SPF on lips daily! This is especially true for those who spend time outdoors, especially while on vacation or in the tropics." A few great options for this are Burt's Bees All-Weather SPF 15 Moisturizing Lip Balm, SOLEIL TOUJOURS Hydra Volume Lip Masque, and Quantum Health Super Lysine+® ColdStick. Remember to put an extra layer on your lower lips, as Dr. Barr says they are even more vulnerable to sunburn and sun damage. At the end of the day, it doesn't matter how much money you spend on your lips care—and you don't need to go out and get six different lip-specific products. The moral of the story is that your lips deserve as much attention (if not more attention!) as the rest of your face. Show them some love by making sure they are protected, hydrated, and given a little extra TLC every now and again.